Almost wordless: For the past few weeks I have been preparing plants to bring them inside for the winter. This cutting from a favorite geranium presented me with one last bloom before winter and is now residing in the garden window. 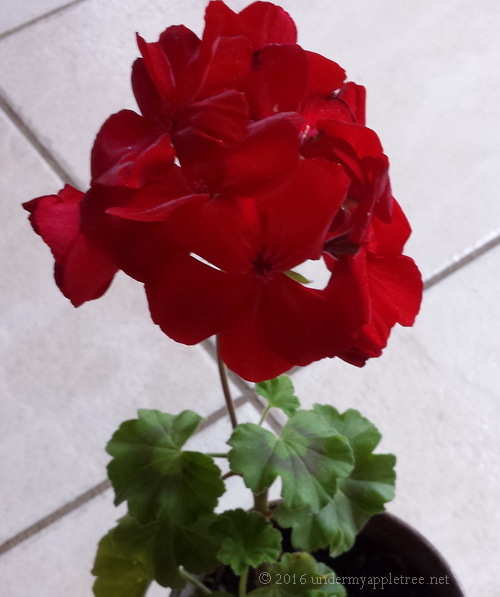 That Geranium bloom is so pretty! Happy Thanksgiving!